Dr. Peter Glidden / Does Glyphosate Cause Autism? Ben Swann Can Vaccines Cause Autism? This is perhaps the most AMAZING thing I have ever witnessed or been a part of. I have never posted this publicly but I have shared this at conferences and support groups I have spoken at. I decided to share this for the people that do not understand autism, and for the parents of these kids and others that do not understand recovery from it. In my opinion, this is the best proof to date showing that a child diagnosed with autism can recover and lose their diagnosis in a very short time without behavioral interventions**. I get choked up every time I watch it. My son turned 14 last week. He has come a long way from the child in this video. He never knew he had a problem when he was younger until I recently told him. He does not remember any of it. Since April is autism awareness month and my son now understands what happened to him when he was younger, I decided to post this video. There has been a lot of publicity lately about the movie #Vaxxed (that the government and CDC don't want you to see). ​It is a true story about a senior vaccine safety scientist working at the CDC who recently came forward admitting that his research group destroyed evidence connecting vaccines and autism. It is about corruption in the CDC and is not an "anti-vaccination" film that the CDC would like you to believe. Everyone should see it. I, like many other parents that have (had) a child with a diagnosis, believe vaccines played at least a part in my son's problems, and I am all about raising awareness on this issue. There definitely needs to be more discussion about this in light of recent events. If the autism rate keeps climbing like it has, it is estimated that by 2032, half of all children born will be diagnosed (80% of all boys). I cannot for the life of me understand why anyone would look the other way. Children with autism can recover and lose their diagnosis (and this video is proof of that), by taking the things out of them that vaccines and our environment put in. Note: For the record, I am not against behavioral interventions, and I believe that most children with a diagnosis would benefit from them. Joshua recovered so rapidly, I did not feel that he needed them. ... had very high level of antibodies to gluten. He was allergic not only to wheat, but to dairy, eggs, yeast, and soy - about 28 foods in total. ​and manganese, vitamins A, B12, and D, and omega-3 fats. Like many children with autism, he had trouble making energy in his cells, or mitochondria. His amino acids — necessary for normal brain function and detoxification — were depleted. antimony and arsenic, signs of a very toxic little boy. the power to detox all these metals. antioxidant and major detoxification highway for getting rid of metals and pesticides. Dr. Seneff predicts that by 2025, half of all children born will be diagnosed with autism. According to CDC,5 the average adult in the US consumes about seven to nine mg of aluminum per day in food, and a lesser amount from air and water. One recently published case study3 found high levels of aluminum in the brain of a man who was exposed to aluminum at work for eight years. He later died from Alzheimer’s disease. “In recent years, interest in the potential role of metals in the pathogenesis of Alzheimer's disease (AD) has grown considerably. Another related study7 linked occupational exposure to aluminum to the development of pulmonary fibrosis, a condition in which scarring on your lungs make it difficult to breathe. In this case, the exposure occurred during sanding of Corian material. Pesticides, for example, have also been shown to have an adverse effect on neurological function and brain health.8 In one study, farmers exposed to organochlorine insecticides had a 90 percent increased risk of depression compared to those who didn’t use them. This will help you avoid both GE ingredients (which tend to be contaminated with glyphosate) and aluminum. In addition, replacing processed foods with whole organic foods will drastically reduce your sugar/fructose intake, which will help normalize your insulin and leptin sensitivity. This is in fact one of the best strategies for protecting and preserving your brain function and overall health. 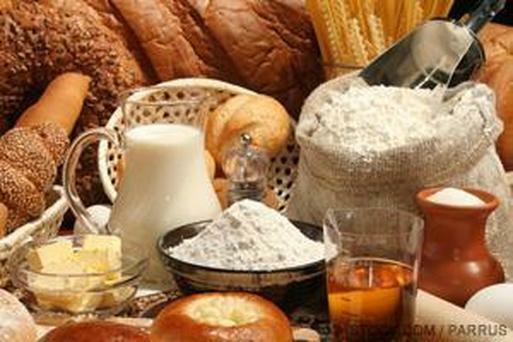 Fructose and gluten are other dietary factors that promote Alzheimer’s, and are best avoided as much as possible. Dental amalgam fillings, which are 50 percent mercury by weight, are one of the major sources of heavy metal toxicity. However, you should be healthy prior to having them removed. Once you have adjusted to following the diet described in my optimized nutrition plan, you can follow the mercury detox protocol and then find a biological dentist to have your amalgams removed. Cosmetics and personal care products containing aluminum, such as antiperspirants (including salt crystals, made of alum), lotions, sunscreens, and shampoos. 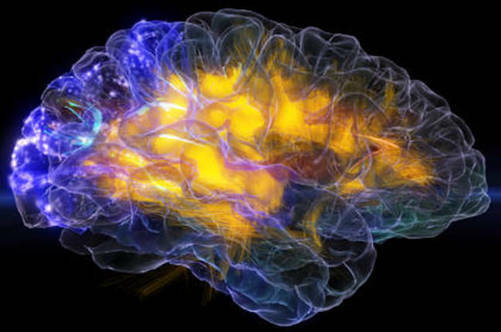 Drugs that block acetylcholine, a nervous system neurotransmitter, have been shown to increase your risk of dementia. These drugs include certain nighttime pain relievers, antihistamines, sleep aids, certain antidepressants, medications to control incontinence, and certain narcotic pain relievers. is pulling out all the stops to keep you in the dark about what’s in your food. For nearly two decades, Monsanto and corporate agribusiness have exercised near-dictatorial control over American agriculture. Finally public opinion around the biotech industry's contamination of our food supply and destruction of our environment has reached the tipping point. We're fighting back. 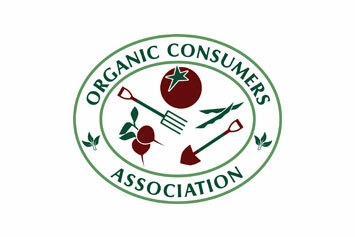 Thankfully, we have organizations like the Organic Consumers Association (OCA) to fight back against these corporate giants. So please, fight for your right to know what’s in your food and help support the GMO labeling movement by making a donation today. get the funding it deserves. I have found very few organizations who are as effective and efficient as OCA. It’s a public interest organization dedicated to promoting health justice and sustainability. A central focus of the OCA is building a healthy, equitable, and sustainable system of food production and consumption. TODAY MOST PEOPLE BELIEVE that Autism is a genetic brain disorder. I’m here to tell you that this isn’t true. The real reason we are seeing increasing rates of autism is simply this: Autism is a systemic body disorder that affects the brain. A toxic environment triggers certain genes in people susceptible to this condition. And research supports this position. Think about it. Rates of autism have skyrocketed over the years, from an estimated 1 child in 3,000 to just 1 in 150 kids today. Sure, wider criteria for diagnosis and better detection might explain some of it but not an increase of this magnitude. Dramatic scientific discoveries have taken place during the last 10 to 20 years that reveal the true causes of autism, and turn conventional thinking on its head. For example, Martha Herbert, MD, a pediatric neurologist from Harvard Medical School has painted a picture of autism that shows how core abnormalities in body systems like immunity, gut function, and detoxification play a central role in causing the behavioral and mood symptoms of autism. Recently I treated a 2 ½ year old boy named Sam. He was born healthy but diagnosed with autism after his vaccination for measles, mumps and rubella at 22 months. Every child with autism has unique genetics, causes or triggers. And it is not usually one thing but a collection of insults, toxins and deficiencies piled on susceptible genetics that leads to biochemical train wrecks we see in these children. When I first saw him, this little boy was deep in the inner wordless world of autism. Watching him was like watching someone on a psychedelic drug trip. So we dug into his biochemistry and genetics and found many things to account for the problems he was having. He had very high level of antibodies to gluten. He was allergic not only to wheat, but to dairy, eggs, yeast, and soy — about 28 foods in total. He also had a leaky gut, and his gut was very inflamed. Sam was deficient in zinc, magnesium, and manganese, vitamins A, B12, and D, and omega-3 fats. Like many children with autism, he had trouble making energy in his cells, or mitochondria. His amino acids — necessary for normal brain function and detoxification — were depleted. And his blood showed high levels of aluminum and lead, while his hair showed very high levels of antimony and arsenic, signs of a very toxic little boy. His levels of sulfur and glutathionewere low, indicating that he just couldn’t muster the power to detox all these metals. In fact, his genes showed a major weak spot in glutathione metabolism, which is the body’s main antioxidant and major detoxification highway for getting rid of metals and pesticides. Sam also had trouble with a key biochemical function called methylation that is required to make normal neurotransmitters and brain chemicals and is critical for helping the body get rid of toxins. This showed up as low levels of homocysteine (signs of problems with folate metabolism) and high methylmalonic acid (signs of problems with B12 metabolism). He also had two genes that set him up for more problems with this system. Finally, he also had very high levels of oxidative stress or free radical activity, including markers that told me that his brain was inflamed and under free-radical fire. This may all seem complicated, but it really isn’t. When I see any patient, I simply work through the 7 Keys to UltraWellness (based on functional medicine) to see how everything is connected, create a plan to get to the causes of the problems, and then help each patient deal with all the biochemical and physiological rubble that those causes have left along the road. To create a roadmap for recovery you just take away what’s bothering the patient and give his body what it is missing and needs to thrive (based on the individual’s biochemical uniqueness). Then the body does the rest. Here is the roadmap I used to help Sam recover. Once his biochemistry and nutrition was tuned up, we helped him detoxify and reduce oxidative stress. Improve nutrition, reduce inflammation, heal the gut, detoxify — this should sound familiar. After following a gluten-free diet and treating his gut for 3 weeks, Sam showed dramatic and remarkable improvement. He was getting back much of his language skills and showing much more connection and relatedness in his interactions. After 4 months, he was more focused, unstuck and verbal. After 10 months, his bowels were back to normal, he was verbally fluent, mainstreamed in school and he “lost” his diagnosis of autism. After 2 years all his abnormal tests were normal including the high metals, gut inflammation and damage to his mitochondria and free radicals. And more importantly, the child was totally normal. Not every child has such a dramatic recovery but many improve, and some improve dramatically using the approach of functional or systems medicine. ​Read the full article on Why Current Thinking About Autism Is Completely Wrong. Mark Hyman, MD, believes that we all deserve a life of vitality—and that we have the potential to create it for ourselves. That’s why he is dedicated to tackling the root causes of chronic disease by harnessing the power of Functional Medicine to transform healthcare. He is a practicing family physician, an nine-time #1 New York Times bestselling author, and an internationally recognized leader, speaker, educator, and advocate in his field. He is the Director of the Cleveland Clinic Center for Functional Medicine. He is also the founder and medical director of The UltraWellness Center, chairman of the board of the Institute for Functional Medicine, a medical editor of The Huffington Post, and has been a regular medical contributor on many television shows including CBS This Morning, the Today Show, CNN, The View, the Katie Couric show and The Dr. Oz Show.